The man has been described as a white male, aged between 50-70, bald on top with short grey hair to the side and of medium build. POLICE IN NORTHERN Ireland have made an appealed for help to identify the body of a man discovered on a beach in Newcastle, Co Down this morning. The man’s body was found by a member of the public around 5am. Detective Sergeant Bell said in a statement that the PSNI had “carried out a number of enquiries at the scene and in the general Newcastle area today and at this stage, we do not believe the death of the man to be suspicious”. Unfortunately, we have been unable to identify the deceased and I am appealing for assistance from the public. Bell added that the man was found wearing a white Ballybunion Golf Club polo shirt. Anyone with information has been asked to contact officers in Ardmore on the non-emergency number 101, quoting reference number 149 11/10/18. Email “Police appeal for help in identifying body of man found on Co Down beach”. 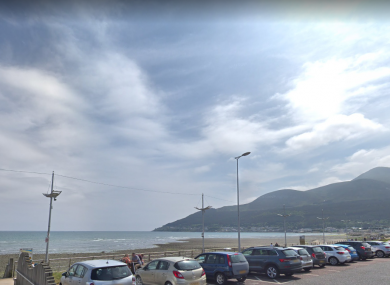 Feedback on “Police appeal for help in identifying body of man found on Co Down beach”.